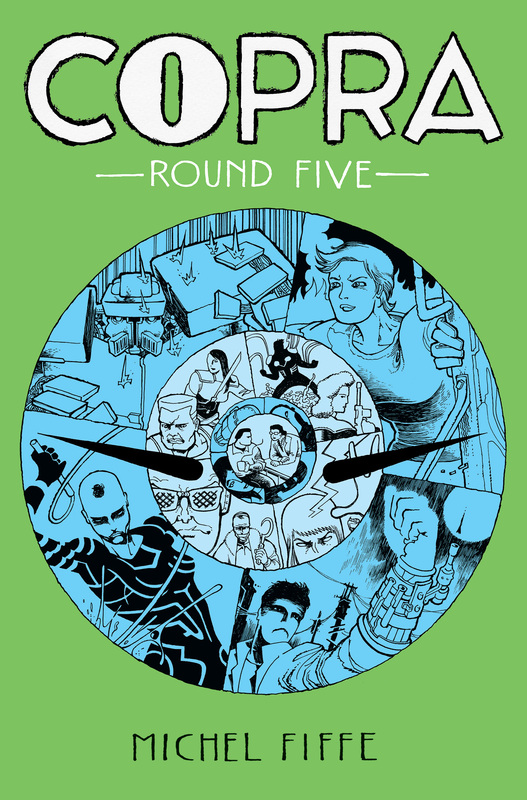 COPRA Round Five is coming! This Bergen Street Press collection features issues 26 – 31 and should be available April 4th! Order it directly from Bergen Street Press! Here’s the official page for the Diamond Distributors/Previews listing. Print and fill out the form below to give to your LCS! Just curious, is #25 going to be included in another collection by chance? Issue 25 will be collected, actually! 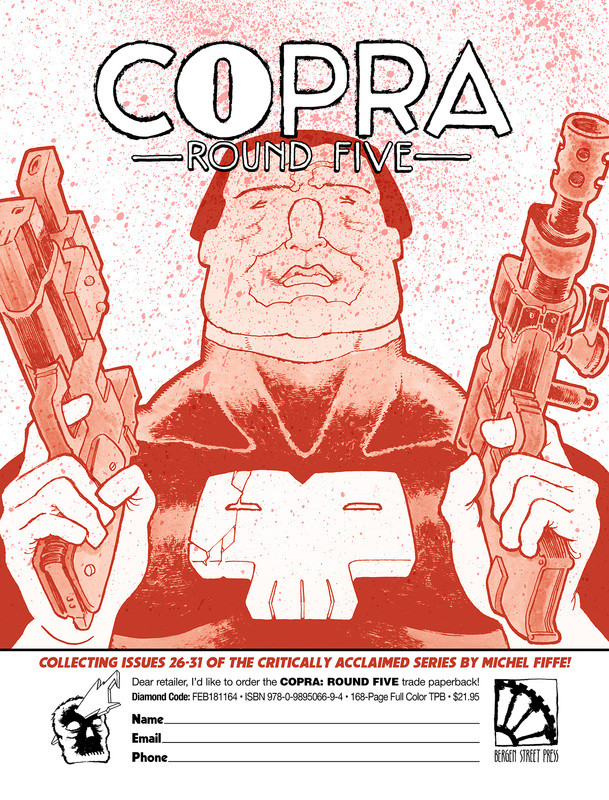 It should be included with the eventual Copra Versus collection — as a flashback standalone story, it’s a much better fit there than halfway through the main story.